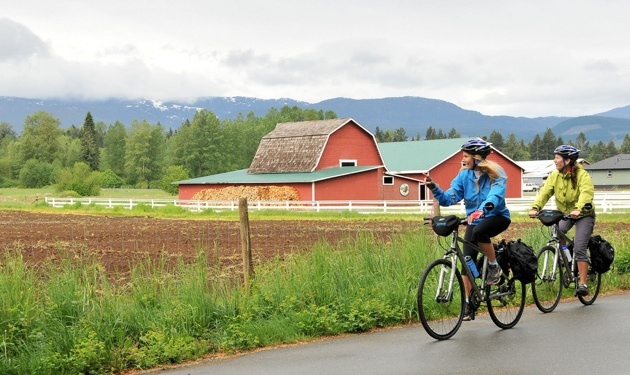 Take in picturesque scenery on Island Joy Rides' Wine and Farm Tour through the Comox Valley. — Photo courtesy of Island Joy Riders. Laurel Cronk, co-owner of Island Joy Rides, said the company was inspired to combine the love of cycling with the unique flavours found only in northern Vancouver Island. “We love to showcase our region and the interesting people and gourmet food we have here,” she said. Riders can take a multi-day scenic ride through the Comox Valley, Campbell River and Quadra Island on the company’s signature West Coast Foodie tour, or spend the weekend or even just a day exploring West Coast wines and gourmet snacks in the same area or on Denman and Hornby Islands. Every tour includes stops at wineries, farmers’ markets or local artisan shops, and many keep travellers active with kayaking, beach yoga and exploration options. Multi-day tours include a cultural element that truly makes the experience one of a kind. Island Joy Rides also takes travellers on one-day excursions for just a taste of what the region has to offer. Chocolate by Bike visits rolling farmland and delightful handmade chocolate treats at Hot Chocolates in Courtenay, and the Wine and Farm Cycle Tour is an afternoon of fine wines and family-run farms, not to mention a gourmet picnic. Succulent berries and tasty fruit wines await at Blue Moon Winery, a favourite stop on Island Joy Ride tours. Marla Limousin owns the winery with her husband George Ehrler, and said the all-fruit winery will also be adding some ciders this fall. 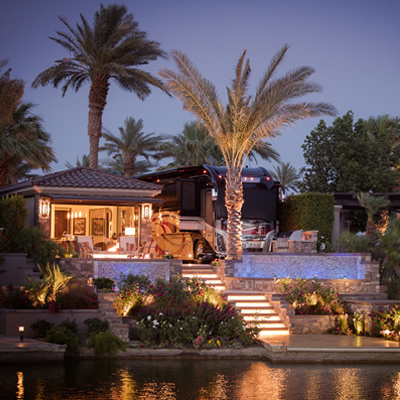 The winery also offers patio refreshers and dessert/apertif wines to linger with after a feast. Limousin and Ehrler also run Nature’s Way Farm—a small but sweet organic farm near the winery with blueberries, strawberries, raspberries and a selection of seasonal vegetable crops. Visitors are free to wander the vineyards or take in a presentation like Wine Tasting 101 or How to Get the Best Out of Your Wine. Private group events can enjoy cooking classes and tastings in the Blue Moon Kitchen. “On Sundays we have Art and Wine shows featuring local artists and Perfect Pairing presentations where people can taste the wine, meet the artist and wander the grounds,” she said. Speaking of pairings, what goes better with wine and fruit than decadent chocolate treats? Hot Chocolates tempts Island Joy Riders with artisan chocolates that are handcrafted, hand-dipped and decorated on site, said the store’s Melissa McLachlan. Hot Chocolates shares its space in Courtenay with a full-service cappuccino bar and Cake Bread Artisan Bakery, where a vast array of organic artisan breads and rich pastry treats is waiting. Campbell River’s Pier Street Farmers’ Market is bursting with locally grown, organic produce every Sunday from 10 a.m. to 2:30 p.m. from May to September. Vendors from the Comox Valley join Campbell River producers to bring seasonal vegetable, fruit, preserves, fresh meats, and sweet treats to one of the region’s most scenic markets, backdropped by the Georgia Straight, Fisherman’s Wharf and Maritime Heritage Centre. Known as the Salmon Capital of the World, Campbell River draws thousands each year to its Salmon Festival in August. Plenty of other ocean delicacies are on display for the tasting at the Seafood Cook-off, held over three days during the festival. Several culinary competitions, including the Professional Chef’s Oyster Competition will have visitors’ mouths watering while they vote for their favourites.